Students from the Woodridge Fine Arts Magnet Academy was just one of the many DeSoto educational programs on display at the recent Family Academy and Magnet Showcase. DESOTO—DeSoto ISD recently combined two great events for families this year! The Family Academy and Magnet Showcase were held as a combined event on Saturday, November 12 from 8 a.m. to 12 p.m. at DeSoto High School. The dual event included free breakfast and student performances, followed by two sessions educating parents on a variety of topics including STAAR/EOC Test Information, ACT / SAT, College Readiness, The Graduation Plan, IB Programs, Financial Literacy, PTA, Parent Involvement and much more. Student classes included sessions on Respect, Leadership, Character, and Bullying. In addition, the Magnet Showcase was in full swing showing off the programs available from elementary through high school. The event will concluded with a motivational keynote from Harlem Globetrotter Melvin Adams. A grand prize drawing for a $1,000 scholarship was given a eligible DeSoto ISD student . There were great door prizes for other guests as well! Currently, DeSoto ISD has 15 magnet and innovative programs that students can apply to starting in December. 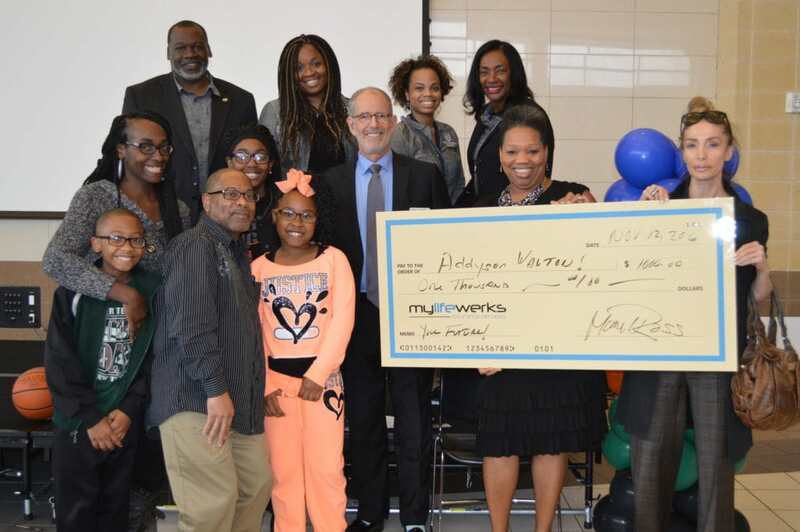 DeSoto ISD officials, event attendees present the $1,000 Scholarship to Addyson Walton at the recent Family Academy, Magnet Showcase. 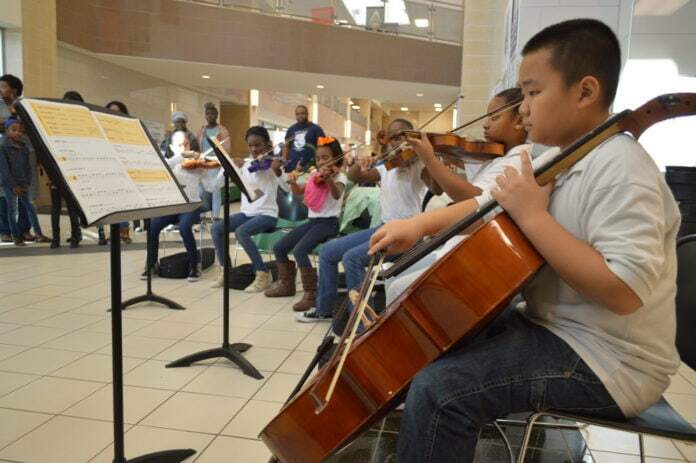 What are the DeSoto ISD Magnet and Innovative Programs? It’s what every parent wants – a learning experience that engages their child, supports his or her interests, and opens pathways to success. Students and their parents are given the power of choice – based on personal interests and passions to take ownership in their educational experience.